Say hello to Joanna Wiebe and a new Anne Merchant book! Having already read this book, I will say that it is definitely a great sequel to The Unseemly Education of Anne Merchant, and you won't want to miss out! Life and death, light and dark, spirit and flesh-on Wormwood Island the lines are always blurred. For Anne Merchant, who has been thrust back into this eerily secretive world, crossing the line seems inevitable, inescapable, destined. Now, as Ben finds himself battling for the Big V and Teddy reveals the celestial plan in which Anne is entwined, Anne must choose: embrace her darkly powerful connection to a woman known as Lilith and, in doing so, save the boy she loves...or follow a safer path that is sure to lead to Ben's destruction at the hands of dark leaders. Hoping the ends will justify the means, Anne starts down the slippery slope into the underworld, intent on exploring the dark to find the light. But as the lure of Lilith proves powerfully strong, will Anne save others-only to lose herself? Today OS&B is happy to receive the Martyr Blog Tour hosted by Me, My Shelf, and I! Author A.R. Kahler stopped by the blog to visit and chat about books that have influenced him as a writer. While I have yet to read Martyr, it definitely looks like a book I will be checking out! Those who remain struggle to survive the monsters roaming the streets, fighting back with steel and magic—the very weapons that birthed the Howls in the first place. Tenn is one such Hunter, a boy with the ability to harness the elements through ancient runes. For years, the Hunters have used this magic to keep the monsters at bay, but it's never been enough to truly win the war. Humans are losing. Today, we have a very special event! A trailer reveal! 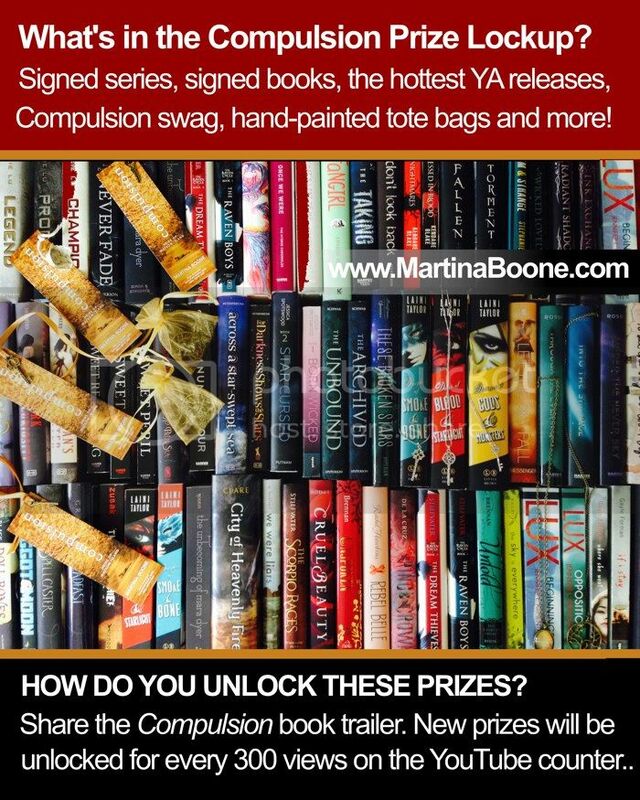 Unfortunately, I'm a few days late on this because moving is yucky, but you should check it out, because when you do, you could get a chance to win books, swag, signed copies etcetera. I mean, who doesn't want those awesome prizes? This is a highly anticipated book! 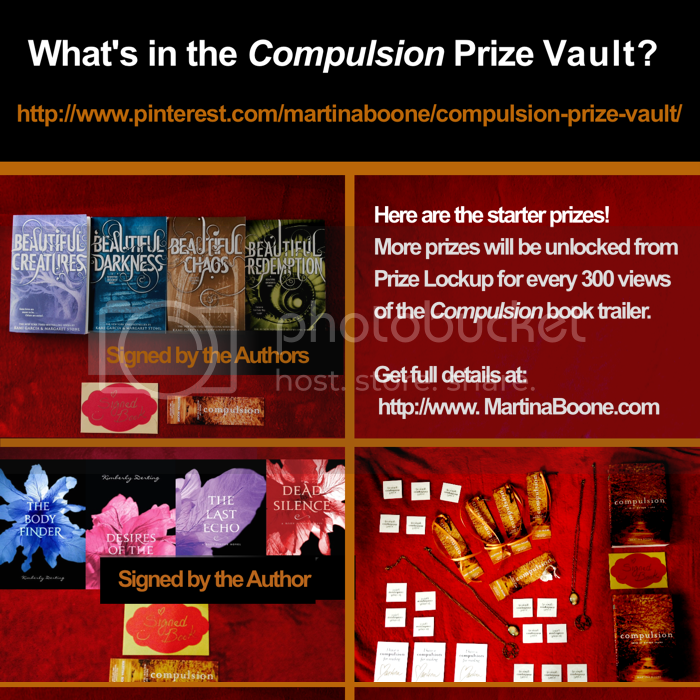 You can read my interview with Martina here and my review over Compulsion here. Martina Boone was born in Prague and spoke several languages before learning English. She fell in love with words and never stopped delighting in them. She’s the founder of AdventuresInYAPublishing.com, a Writer’s Digest 101 Best Websites for Writers site, and YASeriesInsiders.com, a site devoted to encouraging literacy and all this YA Series. Wasn't that awesome? Doesn't it just make you want to dive into this book world? Ugh so much love! I had the privilege to meet Kelley Armstrong at the Dark Days tour stop in Irving, TX. She was very kind and had some interesting stories related to the foundation of Sea of Shadows, and she said that she would be happy to answer a few questions for us! I asked more about her craft and her journey as a writer rather than a lot about Sea of Shadows, but since that was the latest book out, I decided to go with that banner. Anyways, I hope you enjoy the interview, and make sure to check out her books when you get the chance! I've been writing since childhood. I think what inspired me was the opportunity to tell my own stories. I loved reading, and writing meant I could make up the stories I wanted to hear. 2. You write books for both adult and YA genres. Which do you like writing best and why? I don't have a favourite. They're alike enough that I enjoy both, but different enough to be a change of pace, so I don't feel I'm writing the same thing all the time. What's on your bucket list? 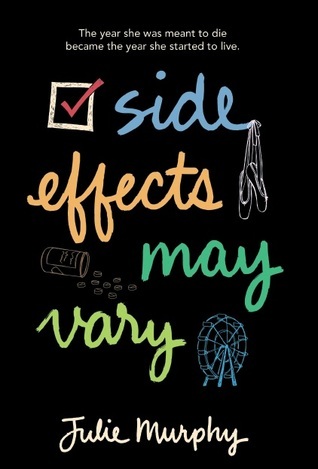 This is a question that debut author Julie Murphy has been asked many times as her upcoming release date of Side Effects May Vary draws near. While I am reviewing the novel later this week, Julie asked several bloggers to talk about their own personal "bucket lists" in celebration of the novel's release. We were more than happy to oblige. 1. Live in Europe. I was born to travel. My feet are restless if they stay in one place for too long. I have many friends that went abroad right after college, and part of my wishes I would have done this. I would love to pack up and live a year abroad, but a car payment, health insurance, and student loans now tie me down. Cover Reveal: Drawing Amanda by Stephanie Feuer + A GIVEAWAY! Today on the blog we are super excited to be apart of the cover reveal for the novel Drawing Amanda by Stephanie Feuer! DRAWING AMANDA is set in the under-parented, high-expectation world of a Manhattan international prep school. Fourteen-year-old Inky Kahn, smarting from the death of his father, only wants to have his artwork seen and appreciated. When he submits a drawing of his secret crush – Amanda – to an Internet game developer, Inky inadvertently draws her into a cyber-stalker’s lair. Now Inky must use his art to save his muse and trap the creep before he ensnares anyone else. Looks amazing, right? What makes the book even better is that Feuer teamed up with illustrator S.Y. Lee to bring pieces of the book to life! I cannot wait to get my hands on a copy. To top this off, I was able to snag an interview with Stephanie and discuss Drawing Amanda. Check it out below! DRAWING AMANDA started, as so many creative endeavors do, with a “what if” moment. When an FBI officer spoke to parents at my son’s school about internet predators, most parents asked questions about how best to check up on their kids’ activity. Not me. I got stuck on the part about these trolls using imagery to break down the inhibitions of the youngsters they were trying to lure. I wondered who was behind the artwork. What if it was a high school kid? And so DRAWING AMANDA was hatched. Okay you guys, today I am super excited to share that Ali Novak of My Life with the Walter Boys is here for our very first guest post! As I stated in my review, I loved this book. It made my teenage heart flutter. 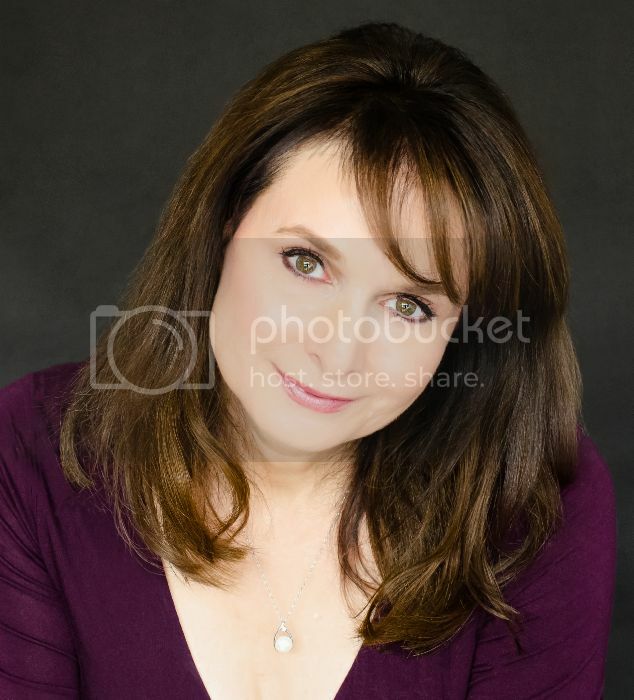 My co-author Amanda also knows Ali through the Wattpad world, and we both think she is one adorable up and coming author. Today Ali is here to write about the inspiration behind the quirky, dreamy, and hilarious characters seen in My Life with the Walter Boys. Enjoy! To be honest, I wouldn’t say there are any people in my life that I specifically based my characters on. However, some of my characters have borrowed the names of my friends and family. For example, my brother’s name is Jackie. He was thrilled when he found out I named my main character after him, but then he realized Jackie was a girl… He wasn’t too happy about that. Alex, Kim, Jack, Isaac, Lee and Sammy are all named after people I know.